A major dairy processing plant has recently been liquidated in South Africa. 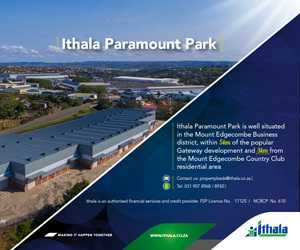 The plant is located in Pietermaritzburg (KwaZulu Natal, a coastal city), adjacent to another major player Fairfields (who exclusively supplies Food giant Woolworths) and runs along a main access road (N3) to the Port and major cities including Johannesburg. Leading auction house, Clear Asset who have established themselves as a specialist player in commercial plant and more specialized matters has been mandated to handle the sale. Last year, the auction house successfully disposed of another legacy player - Dairy Belle - also in liquidation with the land alone achieveing R66 million in Epping, Cape Town. Both liquidations stem more from mismanagement than a reflection of the dairy market. The sale of DAIRY DAY is comprised of various entities – Chantilly Trading, Honey Dew and Dairy Day with the former 2 in provisional liquidation and the latter awarded by Court Order to Standard Bank – the major creditor. Unlike Dairy Belle which hosted a physical live auction for the property and an online auction for the plant and equipment, this sale will be via Sealed Bid and closes on 29 March 2018 at 12h00. Says MD Ariella Kuper "we have selected this method of sale as we are selling an entire concern i.e. land, buildings, plant, equipment and even the possibility of the brand itself. Hence this manner of sale via Sealed Bid is to accommodate both local and international participants who may need to include conditions in their offers. As such a sealed bid is less one dimensional than a public auction bid in this instance". The sale includes the land (one title deed), the entire production facility of milk, yoghurt, butter, cream, powder etc and plant and all buildings (storage, cold rooms, distribution, boiler room etc).Viewing will take place on 27/28 Feb and 01 March. Any deviation or an appointment does please require advance permission through Clear Asset with the Bank and Liquidators.